Halloween is my favourite holiday so I jumped at the opportunity to second shoot for Melanie at Photo Expressions when she told me a Lethbridge Halloween themed wedding was in the works! Stephanie and Paul definitely agree with me about what an awesome holiday it is :) They loaded up on decorations last year when the Halloween stores had clearance in preparation for their big day the next year. They started out the day in traditional wedding attire but chose Halloween colours as their accents. We had a gorgeous day to do photos out at Nicholas Sheran Lake, and even managed to find a few leaves left at the end of the month! Stephanie and Paul make each other laugh so hard that they almost collapse. There were very few moments when either of them didn’t have a huge grin on their faces. Their reception was a costume party held at the Lethbridge Hungarian Club, and nearly every guest got in the spirit and dressed up! There were so many amazing costumes and everyone was so happy and energetic (I’m sure the Halloween candy bar helped with that). 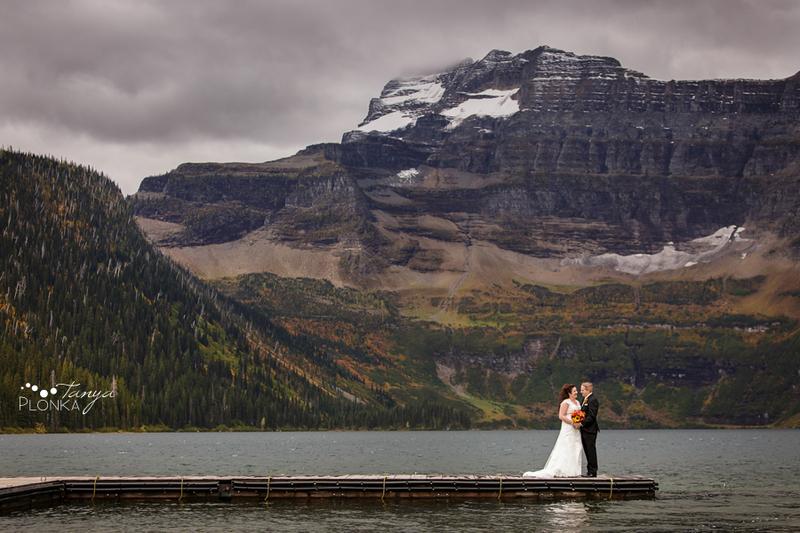 Kevin and Ashley chose an amazing time of year for their autumn Waterton Lakes wedding; the park was nearly empty, beautiful fall colors lined the mountains, and it was still warm enough to get married outside. 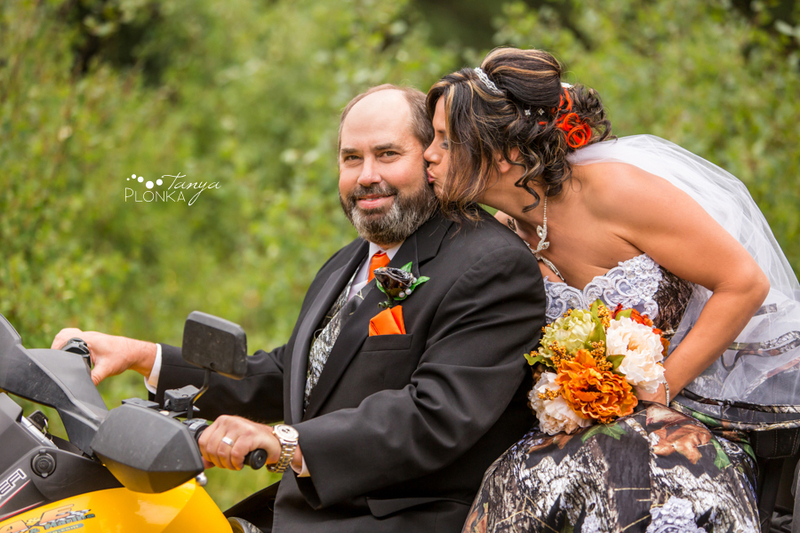 Even the crazy wind couldn’t spoil their perfect day! With each gust, Ashley cheered like she was on an amusement park ride because she was so happy to be marrying the man of her dreams. There was so much joy throughout the day, especially at the reception. The speeches were full of laughter and they both had the hugest grins during their first dance. They are so perfect together! They held both their ceremony and reception Waterton Lakes Lodge with photos taken throughout the town site and at Cameron Lake. The farm has such beautiful, rustic spots for photos and I was thrilled to be able to shoot there again. The old barn is far enough away from everyone that Trevor and Andrea were able to have some romantic alone time (well, as romantic as it can be with two photographers spying on them!). When we were finished at the farm, they headed to Lethbridge in the awesome old truck they borrowed. It very conveniently matched their wedding colors! 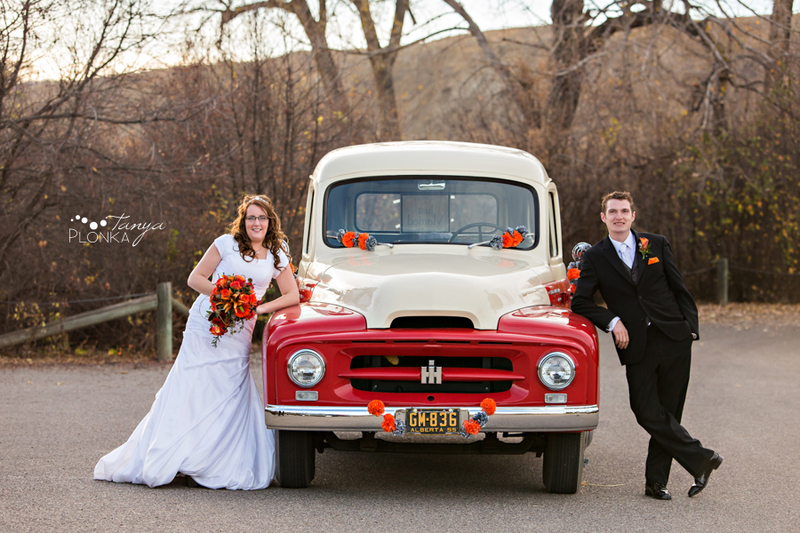 Trevor and Andrea picked beautiful colors for late autumn Lethbridge wedding photos, choosing gray with bright orange accents. 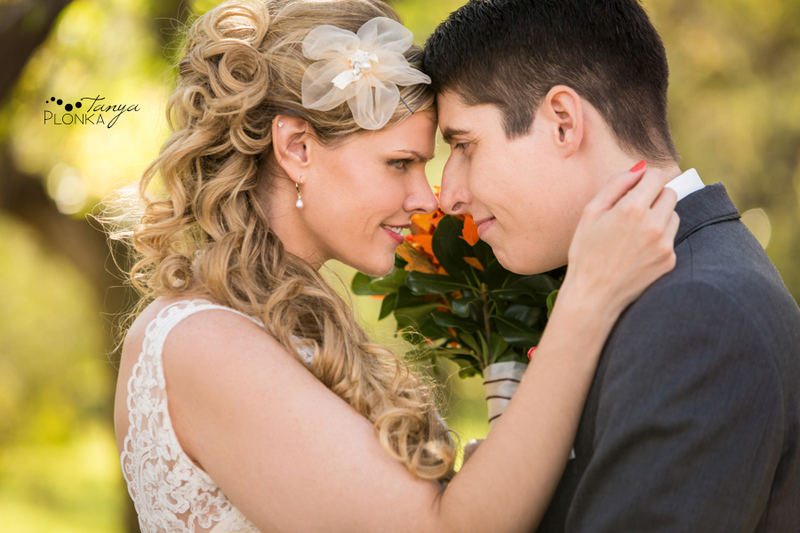 Allen and Anna had both done the traditional wedding before and wanted something special this time around! 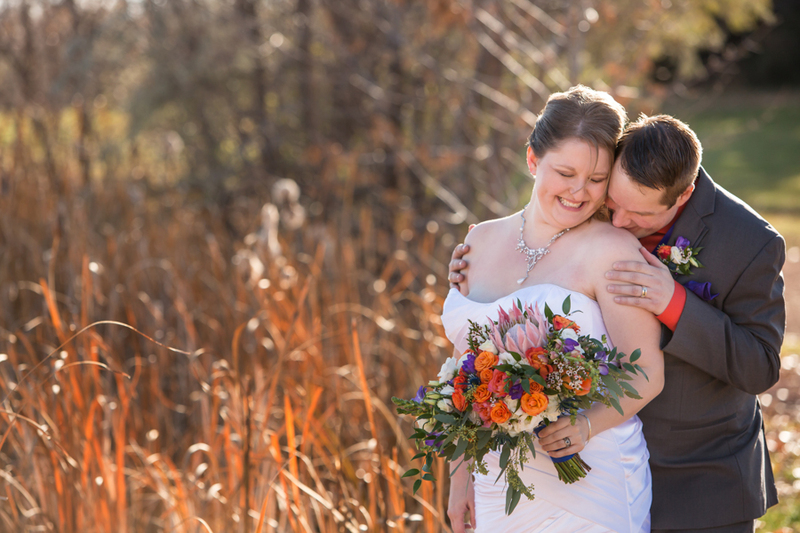 By combining their love of camping and the outdoors, having the whole party in nature, and throwing in touches of a cute redneck theme, they ended up with a unique wedding that was totally them! They held their Castle Mountain outdoor wedding at the Syncline group campsite just minutes from the ski hill, and what a gorgeous location it was! Their ceremony took place amongst the huge trees next to the river and they had a beautiful tent sent up nearby for their reception dinner. All of their guests were able to camp right on site making it super easy for everyone to attend. Their wedding party members were very special to them, being made up mostly of their children (including fur baby Buster as the ring bearer, who rocked a matching vest). It was such a meaningful way to signify the blending of their families.